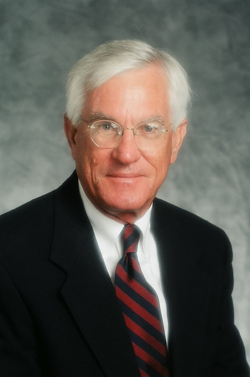 John Skogland is a San Antonio, Texas attorney with uniquely broad experience as a partner in a major law firm and as a senior corporate counsel, representing individuals and companies in the mining and construction materials industries. For more than thirty years, he has had the opportunity to assist individuals and corporations in the United States and Mexico with a wide range of matters involved in the production, transportation and distribution of aggregates, concrete, asphalt and other related construction products. As a result, he understands the mining and construction materials industries with a perspective that few lawyers have. John Skogland formerly was a partner of Haynes and Boone LLP., one of Texas’ most prestigious firms, resident in San Antonio and Mexico City. His practice largely focused on clients in the mining and highway construction industries, including acting as interim General Counsel for the Mining Division of Morrison Knudsen Corporation. He then joined Martin Marietta Materials, Inc., one of the leading producers of aggregates in the United States, as Senior Associate General Counsel with responsibilities covering operations in the Southwest and overseas. He has recently opened his own office to work as an attorney and mediator with those who need the help of someone with his extensive experience. Whether you have a legal matter that involves corporate governance, real estate, mining, rail or truck transportation, sales, credit or collection issues, or disputes, Mr. Skogland can help you bring the matter to a successful conclusion. Regardless of whether you are an individual, a small or a large company, if you are seeking an attorney or mediator with mining and construction materials knowledge, you will find that Mr. Skogland will understand your business needs and is dedicated to providing you with prompt and personalized service. He also regularly works with other lawyers and professionals to assist them with mining and construction materials matters. Mr. Skogland graduated with honors from Texas Tech University School of Law. He served as a law clerk to Judge D. W. Suttle in the United States District Court for the Western District of Texas. He has been a frequent speaker at legal seminars and is a member of numerous bar associations.